A new device named as Luminescent Solar Concentrator (LSC) is used to produce electricity. 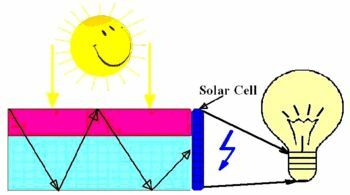 Its main principle is to collect radiation over a large area and then concentrate and direct it to a relatively smaller area of solar cells in order to produce electric energy. Some more recent workings tries to establish the same technique for the completely transparent glasses. The technique is called Transparent LSC (TLSC). 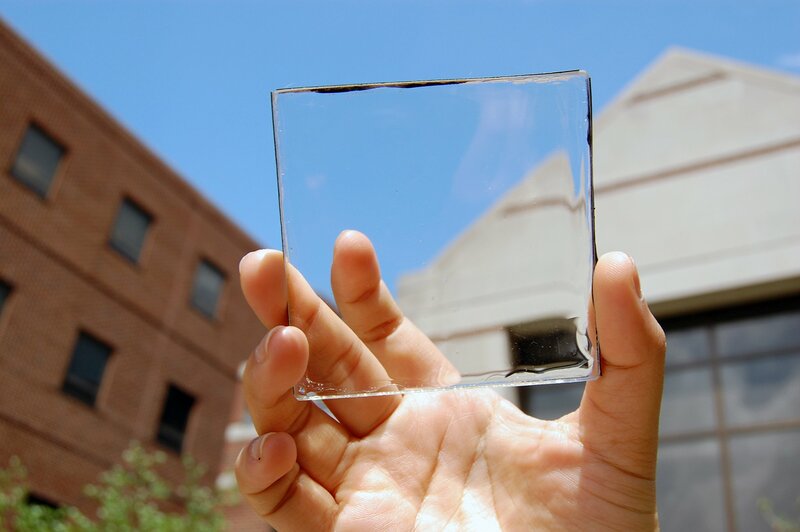 The new approach uses the same technique in transparent glass windows without affecting their visible transparency. This is obtained by using the invisible infrared part of the solar radiation. Efficiency of the technique is yet as low as about 1%. However, scientists are hoping to increase it to a more feasible level as soon as possible. The laboratory studies on the subject are maintained especially at Michigan State University (MSU).